Access the Reader’s Guide now and get the most out of your reading experience. One of Sejal’s absolute favorite things is connecting with readers! Send her a message to have her join your book club meeting and share in the discussion of The Storyteller’s Secret via video conferencing. Thank you! Sejal will be in touch soon. "There is no way I could have given Trail of Broken Wings less than five stars. 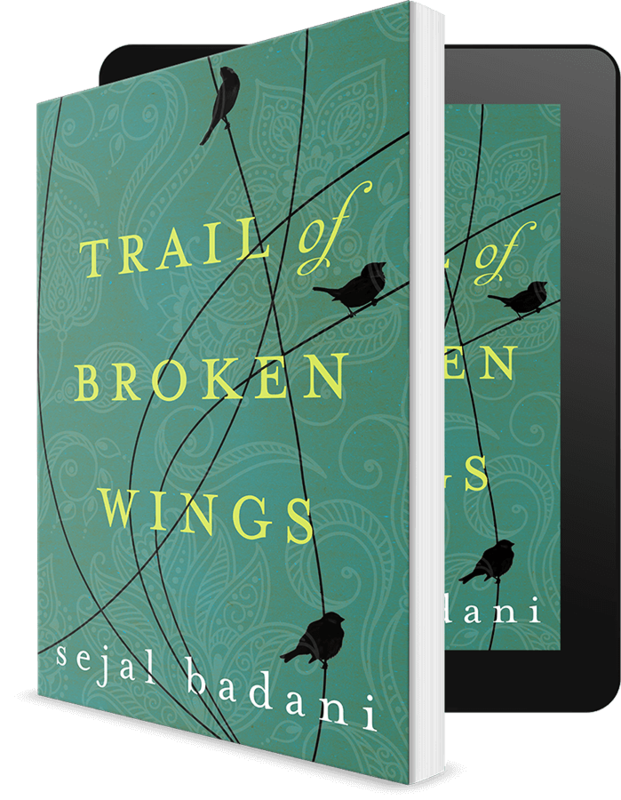 Sejal Badani has a gift for written expression. Much of her narrative shook me to my core. It was poignant, haunting and beautiful and I found myself highlighting much of the book." Get chapter one and start reading right away! Love my blog? Subscribe with your favorite feed reader! Read It Forward: A shared love of books is a bond that transcends time and spans generations. Reading books as a child is a powerfully formative experience. With The Handmaid's Tale on everyone's radar, now seems like a good time to start talking about the other great, feminist novels that should be on TV. Check your inbox! You'll find a quick hello from me waiting for you.